Did you know that in October 2012, Faculty Council at UMass Boston approved a campus-wide open access policy? The policy, the full text of which is available here, demonstrates the faculty’s and university’s commitment to expanding the reach of scholarship and research out of UMass Boston. The open access policy requires faculty members to provide an electronic copy of the author’s final version of an article (the pre-published, non-branded version), unless an exemption is requested, to a ScholarWorks administrator in the Healey Library by the date of publication. Copies of articles should be submitted to library.uasc@umb.edu. To assist faculty members with informing publishers about UMass Boston’s open access policy, we’ve put together a range of materials outlining these policies and have drafted templates for amending contracts with publishers. These materials are available on the For Authors page on ScholarWorks at UMass Boston. To view the policy and to learn more about negotiating agreements with publishers, visit scholarworks.umb.edu/for_authors.html. ScholarWorks at UMass Boston is a hosted, open access, institutional repository that makes faculty publications openly searchable and accessible, raising your college’s visibility and reach throughout the world. ScholarWorks can include preprints, author’s accepted manuscripts (post-prints), and final copies of journal articles, as well as working papers, dissertations and theses, conference proceedings, posters, presentations, video and audio, data sets (with some limitations), and a variety of formats and content types. A service of the Joseph P. Healey Library, content on ScholarWorks is indexed and accessible via search engines like Google. 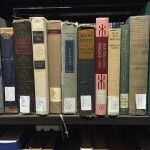 Learn more and explore the existing collection of materials at scholarworks.umb.edu. To arrange an appointment with me to discuss ScholarWorks and open access, email andrew.elder@umb.edu or call 617-287-5944. I’m happy to meet one-on-one or with small groups, or even to attend department meetings.